Oromia Coffee Farmers’ Cooperative Union (OCFCU) is a tribally based co-operative union which was established in 1999, covering all the areas where the Oromo people live; this includes many of the best known coffee growing districts in Ethiopia. Harar comes from the north east of the country from the region around the ancient walled city of Harar. The environment is dry and mountainous and the coffee grows in deep valleys which are sometimes only accessible by foot or donkey. Harar is a naturally processed coffee, dried in the cherry on the farm on raised mesh beds, a method which retains some of the sugars and soluble elements that are lost with washing. It is then hulled – sometimes still by hand, before being finally polished and sorted for export. 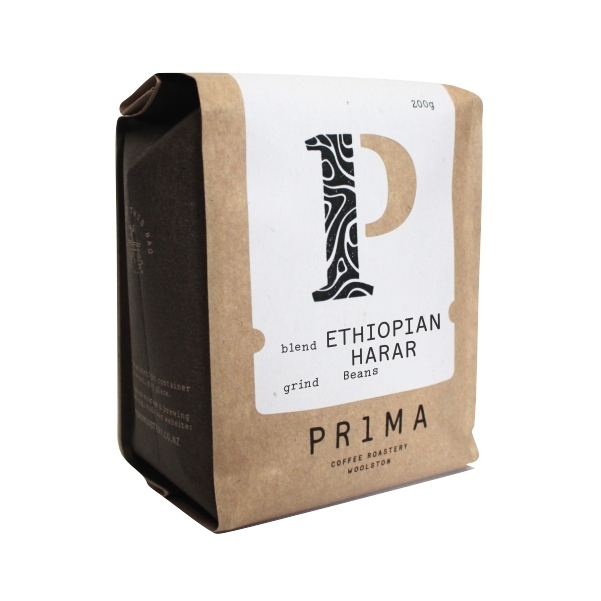 Harar is a rustic but very sweet, complex and full bodied coffee. It has a spicy, gingery and sometimes explosively fruity aroma. The coffee is rich and full with dark cocoa and apricot flavours and a good heavy, slightly earthy body. There are many indigenous and traditional varieties grown, often at high altitude from 1500 to 2100 metres.